Residents in Relela, near Tzaneen, were throwing stones at police on Thursday afternoon after a property was torched earlier in nearby Kubyana, Limpopo police said. “There is public disobedience taking place, such as stone throwing,” Brigadier Hangwani Mulaudzi said. More police officers had been sent to the area. 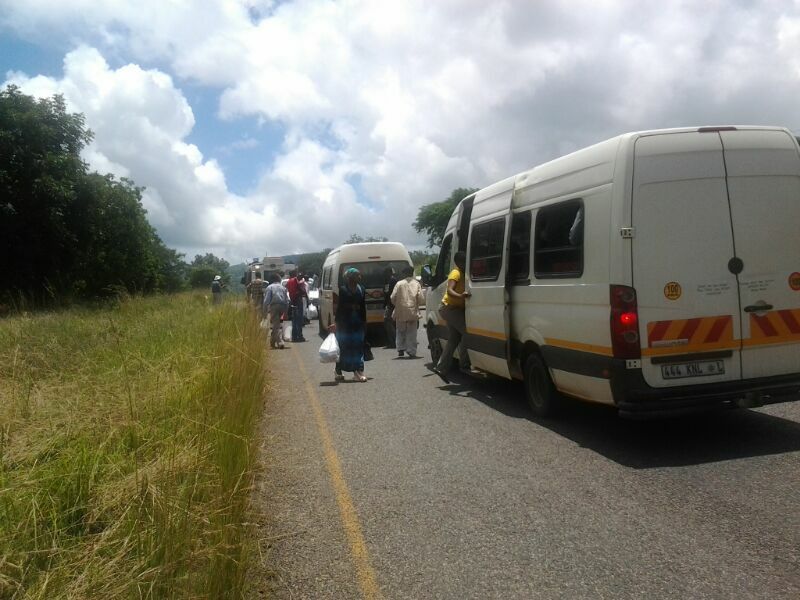 A Sapa correspondent reported on Thursday afternoon that commuters in both Relela and Kubyana were stranded, as taxi drivers refused to go there. The protests began after a schoolgirl from Relela, Khomotso Raolane, 15, was found murdered and mutilated in Mandlakazi, near Letsitele, on Friday, January 24. Her hands had been cut off and her cellphone and house keys placed inside her stomach, which had been sliced open. Her arms had been tied behind her back. Two people were taken in for questioning but later released. Residents burnt their houses down on Saturday. During that protest a 15-year-old boy was shot dead, allegedly by police. Earlier on Thursday, police said residents of Kubyana torched the property of a local businessman after the body of a child was found in his car. “We are still investigating the case of the child being found in the car,” said Mulaudzi. What was most disturbing was police were being targeted, with the violence being driven by criminal elements, he said. “The first incident was in Relela where police were attacked, and in Kubyana, police members were hit by stones,” he said. He said the situation in the area was not out of control, with residents falling victim to intimidation by criminal elements. On Tuesday night, 15 police officers were injured and 19 police vehicles damaged when around 1500 people, armed with petrol bombs and stones, attacked the Relela satellite police station. Two men, aged between 25 and 40, were killed, allegedly by police during the confrontation. Nine people were arrested for public violence. Mulaudzi said on Wednesday the intentions of the protesters were clear and the officers did what anyone would have done to protect themselves. However, residents said they were shot at when they went to the police station to demand that police find Raolane’s hands. Since the start of the year, at least five other people have been killed in protests, allegedly by police officers. In the North West on January 13, Osiah Rahube and photographer Michael Tshele were killed in clashes with police in Brits during a protest for running water. A third man, Lerato Seema, died the following day from injuries sustained when jumping from a moving Nyala, according to police. Police said a fourth person died on January 19 of injuries sustained in the clashes. Residents claim the 36-year-old man was shot in the head. On January 23, a 28-year-old man, Tshepo Babuseng, was shot dead by a police officer during a protest in Durban Deep, Roodepoort, over housing.